Grandview Cemetery (originally spelled Grand View as two words) was established around 1841. The ground the cemetery stands on looks down upon the valleys of the Scioto River and Paint Creek, with a panoramic view of the city of Chillicothe. 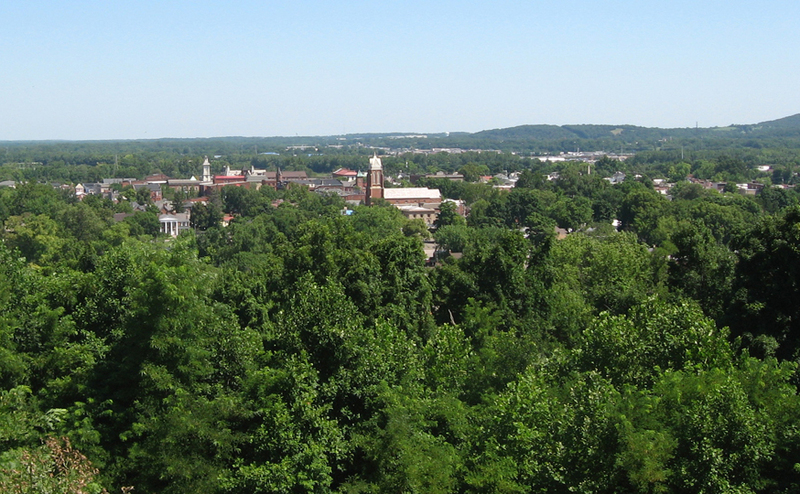 The land for Grandview was purchased outside of the city limits of Chillicothe in order to provide a more restful setting for the new cemetery; one of the burial grounds it replaced later became the site of a railroad depot. Many famous people, including Thomas Worthington, Edward Tiffin, and William Allen, all of whom were former Ohio governors, are buried in the cemetery. Grandview Cemetery was added to the National Register of Historic Places in 1978. Greenlawn cemetery is designated as the Scioto Township burial ground, and is located southeast of Chillicothe, and in plain sight from Grand View. It is a well kept ground, under the management of a competent and efficient board of directors. This ground was laid out since the establishment of Grand View, though interments had been made on the site, as a private burial place, previous to its being thrown open to the public.